You are here: HomeR&S Law Group, ACP ⁄ Family Law ⁄ Should I “Strike First” and File For Divorce Before My Spouse Does? Should I “Strike First” and File For Divorce Before My Spouse Does? At R & S Law Group, LLP, we get all sorts of questions about every aspect of divorce, questions spanning from when papers are first filed up to after all arrangements have been finalized. For this post, we’re looking at the first steps in a California divorce in order to answer the following question: are there any benefits to “striking first” and filing for divorce before your spouse has a chance to? As always, we want to remind everyone that this post should not be regarded as formal legal advice. To consult with one of our experienced California divorce attorneys and discuss your specific legal needs, remember that you can reach out to us at (949) 825-5245. 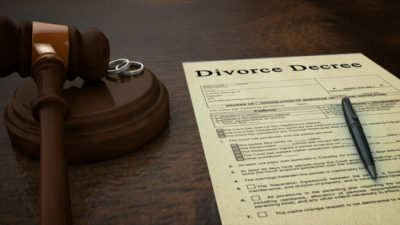 In California, judges are prohibited from making assumptions or forming conclusions based on which party filed for divorce. So to put it in simple terms, beating your spouse to the punch is not inherently beneficial or advantageous. If your marriage is on the rocks, or if both of you feel that divorce is impending, don’t feel pressured to act immediately. However, taking the initiative can carry several indirect benefits simply because it gives you more time to prepare. The better prepared you are when you walk into the courtroom, the better your chances are of a favorable outcome. Don’t take these pre-divorce steps for granted and be sure to check them off as soon as you or your spouse moves forward with filing for divorce. Above all, your first step should be to reach out to a qualified legal professional, someone who can assess your particular situation and help you explore your options. Learn more about what the seasoned divorce attorneys at R & S Law Group, LLP can do for you. Call today to schedule a free initial consultation, where you can speak with one of our qualified lawyers.